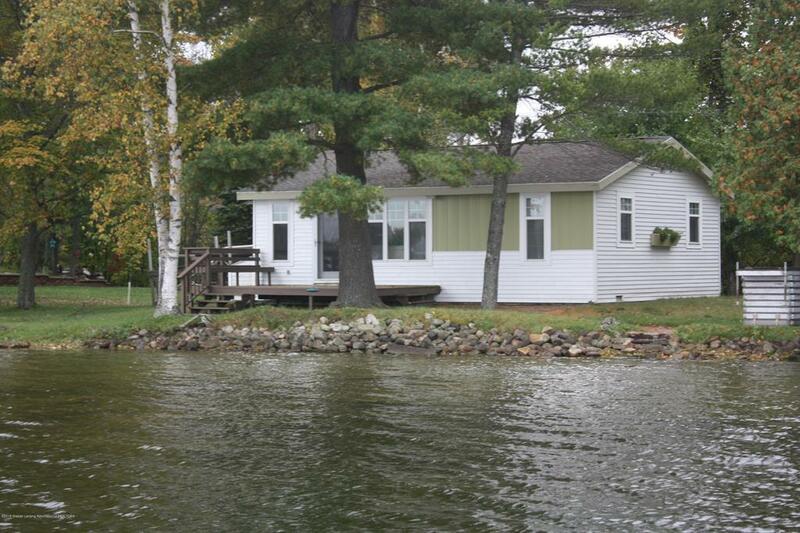 Enjoy peaceful relaxation at your lakefront cottage on the shores of Middle Island on Sage Lake. 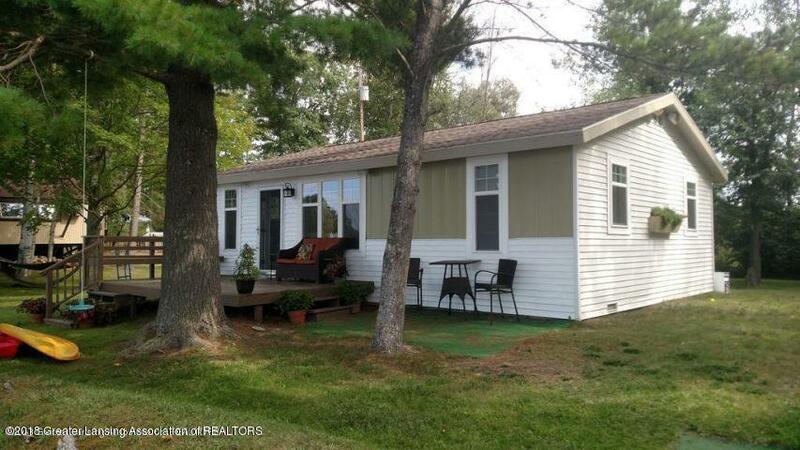 This three bedroom cabin offers plenty of room for the family and beautiful lakefront views. 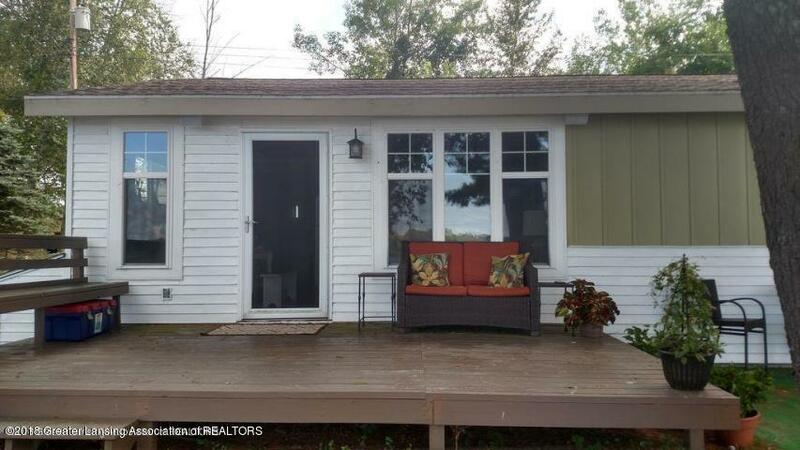 The cottage is on two lots with 200 feet of frontage on all-sports Sage Lake 100 feet is sandy beach frontage. Recent windows and roof along with recently painted siding make this the ideal place to get away from it all. 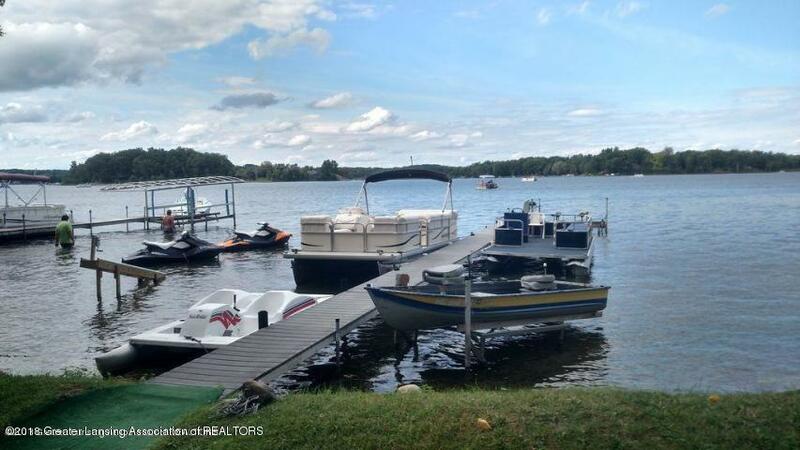 The property includes designated parking (2 spaces) and dock on mainland as well as a dock and boat lift on the island. There is even a pontoon boat that comes with the property! IDX provided courtesy of Realcomp II Ltd., via Weichert, Realtors - Home Towne and Greater Lansing AOR MLS, ©2019 Realcomp II Ltd. Shareholders.